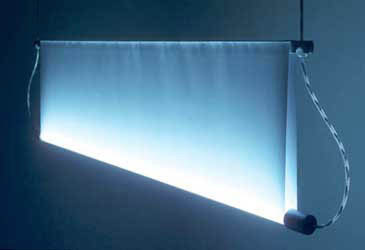 The fluorescent tube lies naked in the white fabric which holds it and acts as screen at the same time. This elementary play with materials, texture, weight and tension lends the light a sensuous quality, rarely found in fluorescent light fixtures. While Fluo is mainly thought for offices and commercial areas, Fluo M offers a more individual lighting solution: With an adjustable screen you can tailor the light to your specific needs. 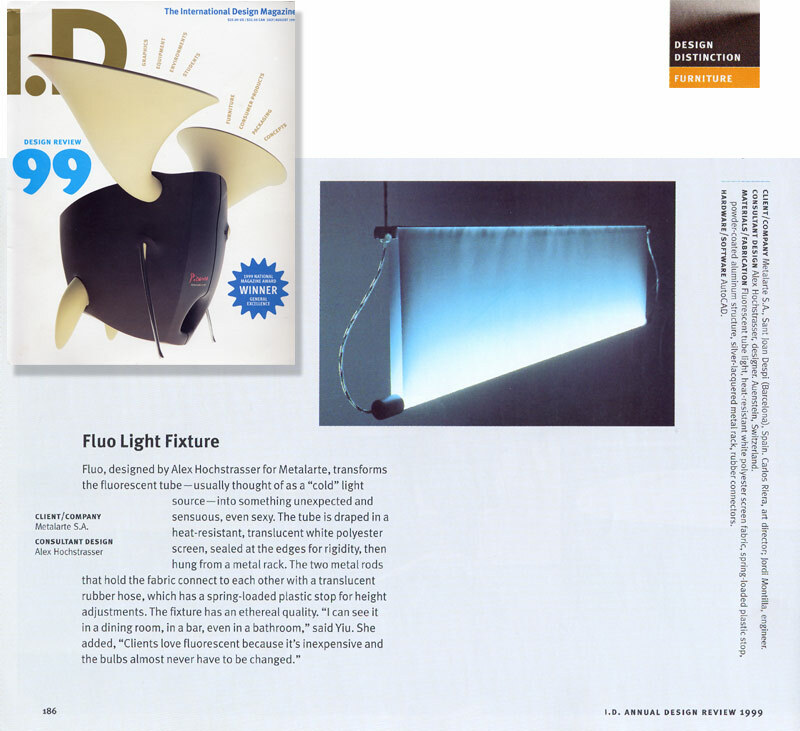 Fluo has received a Design Distinction award from I.D. 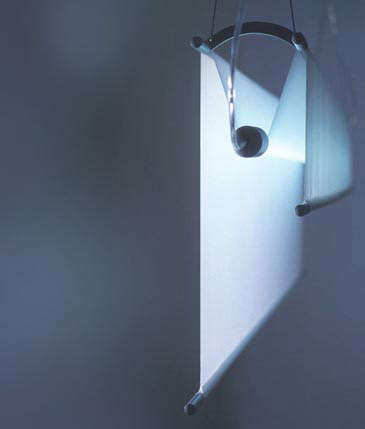 Magazine and is featured in the International Design Yearbook 2000, edited by Ingo Maurer.